Yoga Nidra holds the power for deep rest, profound healing and the conscious creation of a fulfilling and purposeful life. Join us for a profound 3-day weekend of wellbeing and connection. Yoga Nidra holds the power for deep rest, profound healing and the conscious creation of a fulfilling and purposeful life. Yoga Nidra is a foundational practice of yoga that is sourced from texts that date back thousands of years. This systematic style of meditation is supported by a myriad of modern scientific research. Aside from the benefits mentioned above, it is well documented for its ability to mitigate and manage the symptoms of PTSD, cardiac and psychological conditions, menstrual complications, sleep disorders and much more. Modern research/science supporting the practice. History and philosophy of the practice. Its benefits and practical applications. The fundamental steps of a yoga nidra session and the purpose behind each. Customizing sessions for individual needs and circumstances. A variety of variations in which to script a session. How to integrate yoga nidra therapeutically into a regular plan for well-being. If you also register for the Add-On Teacher Training Tract, through an additional on-line forum setting you will learn the finer points of creating and leading authentic, potent Yoga Nidra Sessions. The training will run from 8:30am-6:00pm on Saturday and Sunday and from 8:30am-5:00pm on Monday. Dynamic engaging discussions on the practice of Yoga Nidra and its effects. Gentle, nourishing movement practices to prepare the body and mind optimally for the Yoga Nidra sessions. Suitable for all levels and abilities. Break-out groups and exercises that will help you to customize and integrate the practices in a way that is relevant to your needs. WHO IS THIS TRAINING DESIGNED TO ACCOMMODATE? General Public - All who are open and curious are welcome to attend this Yoga Nidra Intensive. Each of the practices will be suitable for any level, ability, age, etc. Psychologists, hospice workers, those who work with troubled youth, etc. 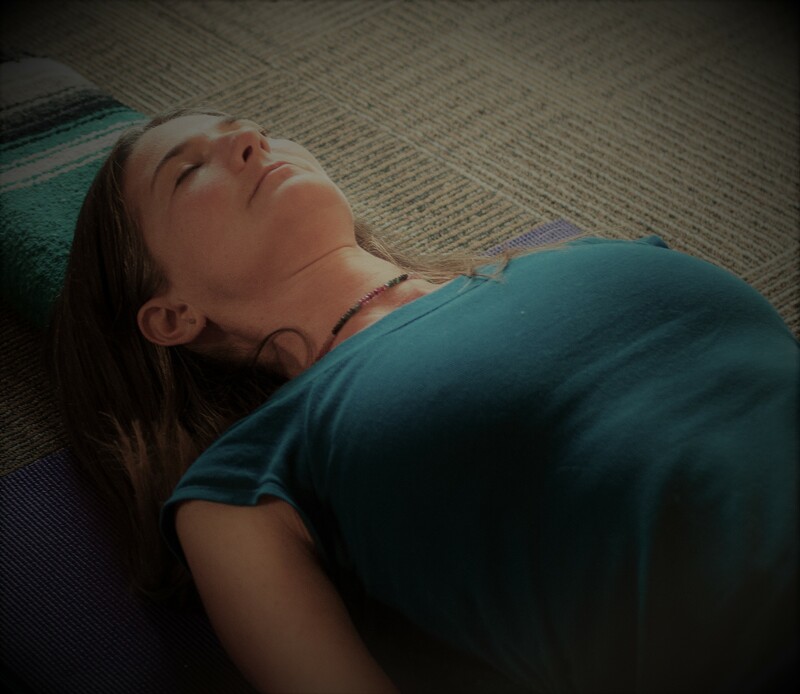 Yoga teachers who would like to learn more about the roots, practice, and aim of yoga nidra to share with private clients and/or group classes. Register for the teacher training tract which is an additional $50. Have completed the AYS 200 Hour Training Program or another similar program. Have your homework assignment completed and submitted by July 1st, 2019. Yoga Alliance Registered Teachers – If you are a yoga teacher registered through Yoga Alliance, successful completion of this course will give you 25 Yoga Alliance Approved CEUs. Lover of life, yogini, trail runner, climber, mommy, wife, teacher, speaker, spiritual guide, community builder, and loyal friend on the path. Sometimes together, sometimes falling apart, but always inspired and empowered by love! 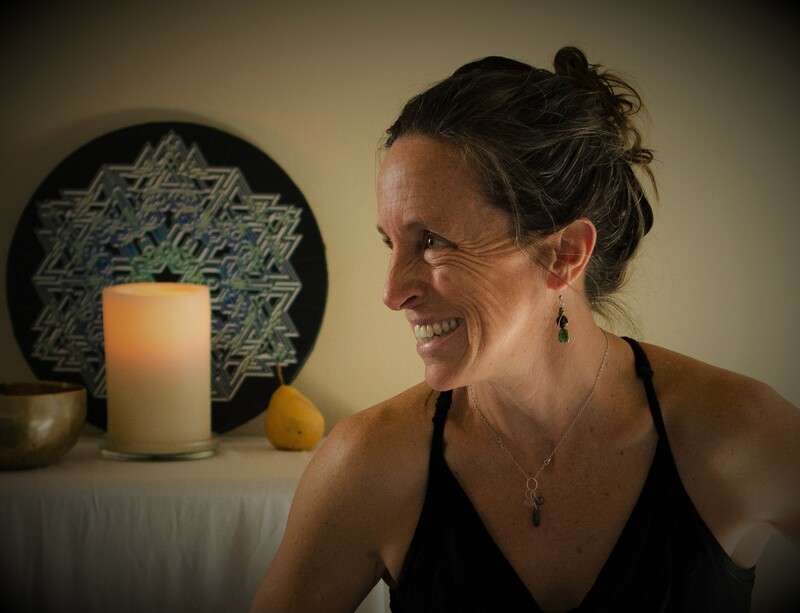 Meg is passionate about sharing the full, rich teachings of yoga (asana, meditation, yoga nidra, chanting, philosophy, etc.) in a truly experiential way that helps us to positively transform and enrich our lives. Having worked as a yoga therapist for over a decade, she is continually inspired by the vitality of the human spirit and the power of yoga to help us tap into a source deep inner-peace and well-being. 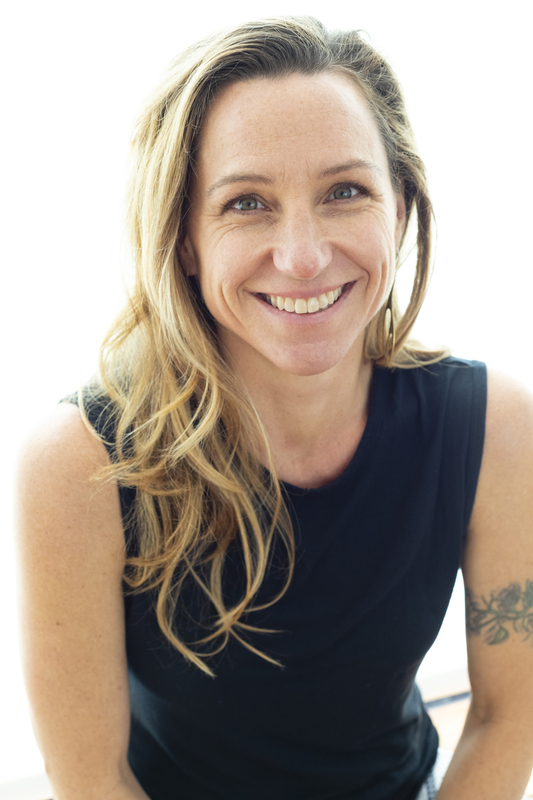 She has been sharing the yoga life with all kinds of seekers for over 18 years and is the Co-Founder of the Alaya Yoga School, a Wanderlust Presenter and Teacher Trainer, and the original founder of Simple Yoga and Wellness Studio. She is a passionate community builder and give talks, lead teacher trainings, satsangs, workshops and retreats all over the world. You can also find her classes featured online at www.Gaia.com/Meg . The 7 years she spent as a yoga studio owner in rural Montana fueled her passion for building diverse and strong communities that foster true human connection. Though she no longer runs the studio, she recognizes community building as the urgent work of our times and remains dedicated to that in all that she does. She is currently inspired to create safe and sacred spaces where these genuine connections can be established, flourish and endure. Throughout 2019 and 2020 it is her intention to bring this work to the great divides that we face in our current society. Outside of the studio, she will be working with a tribe of inspiring souls to sprout these communities in our prisons and along the racial and political divides. Lauri is an outdoor enthusiast, passionate yogi, committed student of life, and grateful Dog Mom. A dedicated student of Yoga, Reiki & Massage, Lauri is committed to offering a sustainable and accessible approach to Well-Being. Her teaching is clear, mindful, alignment and breath focused, and imbued with life-affirming philosophy. She deeply honors all her past and present teachers for their love and guidance; Meg McCraken, Ashleigh Sergeant, Rod Stryker, Eric Rubin, Jack Kornfield, Tara Brach, Joseph & Lillian LePage & Richard Schachtel. When she's not working, you can find her playing outside in Tahoe with her pup Milo in tow, and a big grateful smile on her face. Her motto: "You are the creator of your Life. Create something extraordinary". Lauri is a Yoga Alliance Registered instructor at the 500 Hour Level and a presenter for Wanderlust Yoga Festival. She is a Certified Classical Yoga Nidra Instructor, Certified Massage Therapist of 18 years, Reiki Master, & Cranial Sacral Therapist. She is also the owner of Bodhi Therapeutics, established in 2000, offering Reiki, Massage, Meditation & Yoga Therapy/Coaching. Lauri spent 8 years serving her community as a Firefighter/Paramedic and holds this noble profession & experience dear to her heart. Deposit: a $100 NON-REFUNDABLE Deposit will reserve your place. Add-On - Alaya Yoga School Advanced Teaching Tract: $50 (in addition to your Regular Registration Tuition) For those who are on, or interested in joining the Alaya Yoga School Advanced Studies program to earn 25 Hours towards your 300 Hour Advanced Yoga Teaching Certification (approved with Yoga Alliance). This tract will include 2-3 hours of online forum, post-training, a small homework assignment and personal feedback from Meg McCraken on your homework. To sign up for this tract, in addition to your regular registration, please choose the $50 Add-On option from the same registration page. All payments are due by May 15th, 2019 otherwise you will forfeit your spot in the training. If cancelled in writing 60 days prior to the training, a full refund (less the $100 deposit) will be issued. If cancelled in writing between 31 and 59 days prior to the training, and 80% refund (less the $100 deposit) will be issued. If cancelled 30 days or less prior to the training, no refund will be issued. Alaya Yoga School reserves the right to cancel any program up to 30 days from the start of the program. In the unlikely event that AYS must cancel, all monies paid (including deposits) will be fully refunded. This training is part of The Alaya Yoga School 300-HR Advanced Teacher Training Program. You may combine this module with other 100, 50 and 25-HR trainings to acquire your 500-HR Yoga Alliance Certification. For more information and prerequisites please click here.